My next issue would be traffic. Not so much getting to the wall, as I would be heading out around 6am so figured traffic would not be so heavy, but heading back. This leg of the adventure I wondered about. Getting stuck in a jam on the way back to the airport with a non-English speaking driver to a plane that would depart at a specific time; this was cause for concern. Then there was re-entering the airport. If that was anywhere near as difficult as getting to baggage claim then I was in for a treat. The maze of tunnels, exits, nondescript signs, and alleys that got me to baggage seemed more like a personality test than a route to collect a bag. I could see myself camping out in Terminal B of the Beijing International Airport; much like E. Snowden in Moscow. My San Francisco bound plane flying overhead, through the brown smog, without me. But, you only live once and who knows when this opportunity will re-surface! 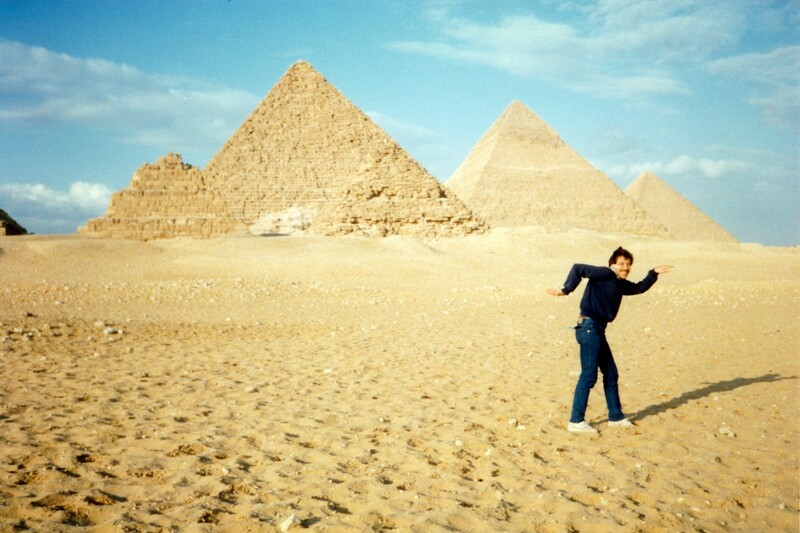 I had climbed on the Pyramids at Giza when that was allowed. When people were still regularly falling off and causing themselves great bodily harm. Hence the eventual restrictions on trampling over, and access to the innards of, ancient historical artifacts. 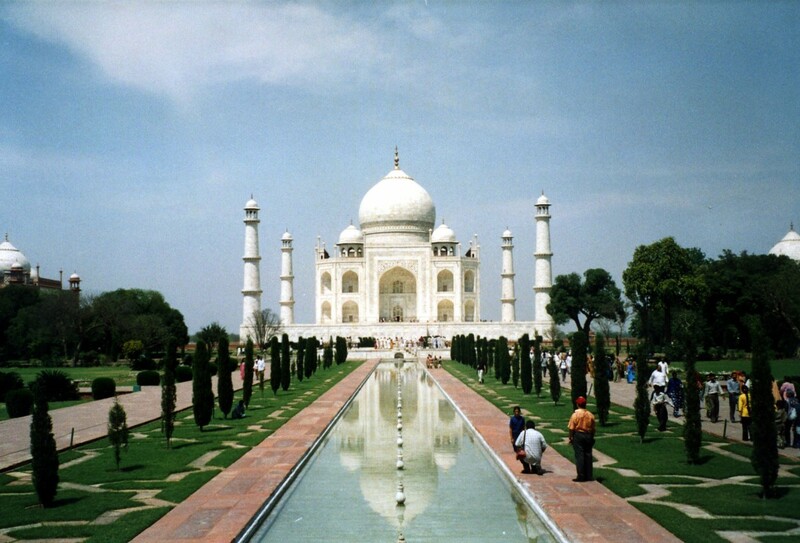 I had marvelled at the Taj Mahal with a sense of relief that all the hype surrounding it had been accurate. It truly is one of the most beautiful buildings in the world. Shining bright white and conveying a message of love and deceit ripped right out of the pages of a daytime soap. I had visited Machu Picchu and slept on the sun-dial. The sun came up and washed over us before the crowds descended on the lost city. Also back when these kinds of things were allowed. I had entered the Colosseum before they built steel barriers and a totally out-of-place floor to demonstrate where the original floor used to be. Imagination could easily have put it there for anyone interested in attempting it. 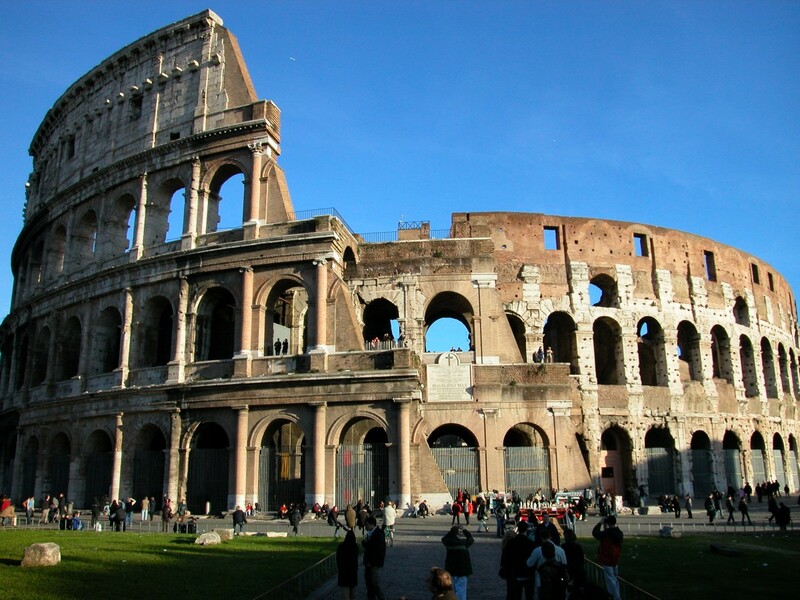 To desecrate the Colosseum with a newly constructed partial floor seemed ludicrous. I had stood at the foot of Christ the Redeemer in Rio de Janeiro and marveled as it became enveloped by the clouds. With the picturesque city spread out below this was quite a sight. There was no climbing on or entering this man-made wonder! 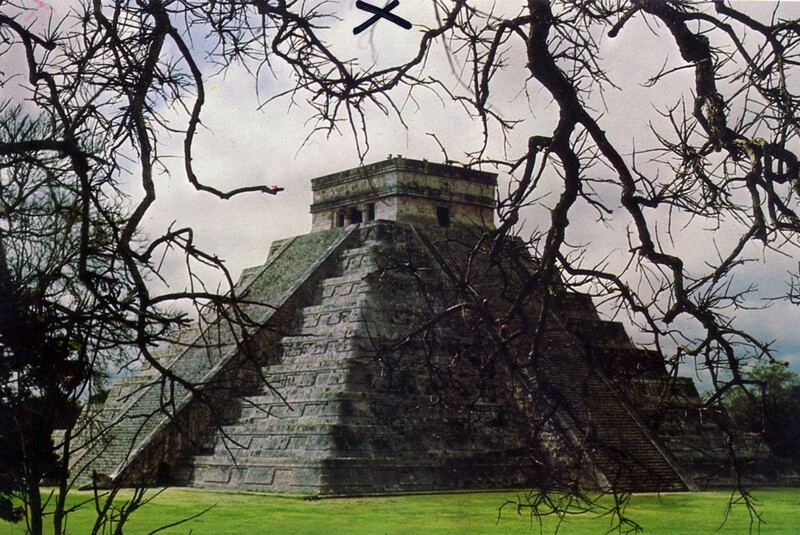 I had explored Chitzen Itza at will and at a cost that was considerably less than today. 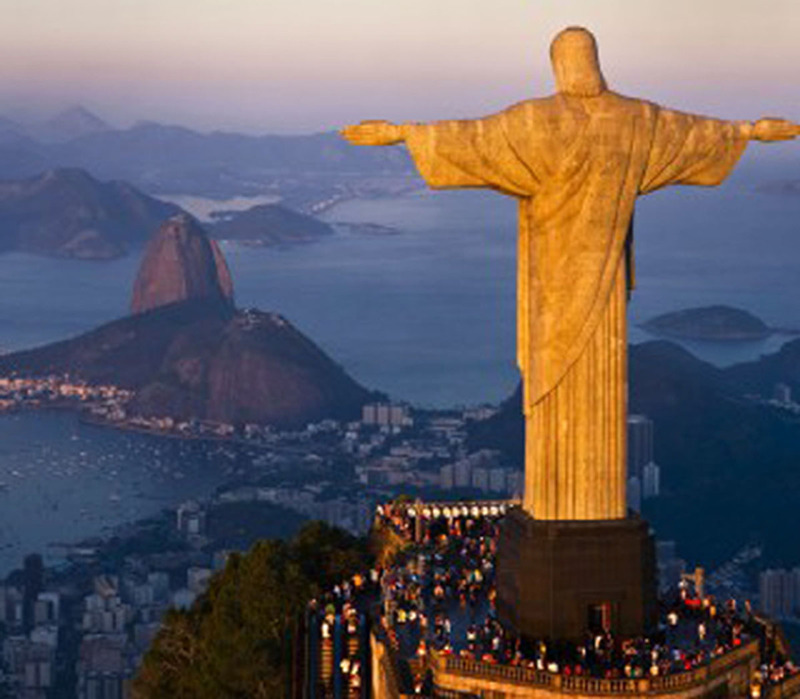 All of these places are part of the 7 Man-Made World Wonders. The only one I hadn’t visited was the Great Wall. If my plan worked I would be able to visit that wonder as well. I am not sure how the Man-Made Wonders Organization came up with those seven as I would have to think that places like Petra, Borobudur, the Potala Palace, the Acropolis, and Angkor Wat would be first-rate contenders as well. Anyway my plan…well it was just SO not going to work. I had made one giant oversight!…if making an oversight is even possible? 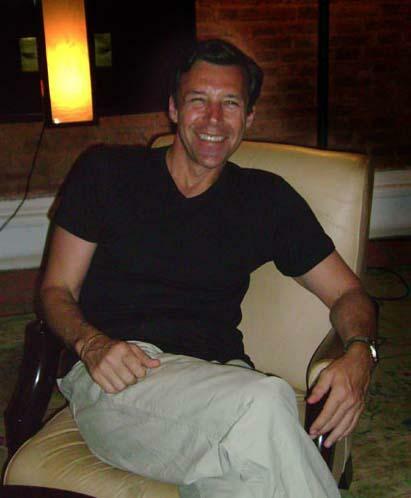 I had just been in Cambodia and so my clothing was basically shorts and t-shirts. The temperature was going to plummet from 90 degrees in Phnom Penh to -4 degrees in Beijing. Even the airport was freezing! If it hadn’t been for the Beijing Pizza Hut and their low ceiling-ed pizza shop, that sold omelettes, I am pretty sure that all heat would have escaped upwards and out of my reach. The terminals must have a height of 150 feet easily and all made of glass. The heating system seemed non-existent and most people were wandering about like frozen zombies in scarves and double rolled turtle neck sweaters. I longed for the luxury and comfort of the Singapore airport with its movie theaters, spas, saunas, sleeping pods, and climate controls. I am on my way home via a 12 hour layover in Beijing. Duped by the seasons The Great Wall was going to remain out of my reach; at least this time. Sorry to hear about your experience at the airport, Tim. My wife and I spent 4-5 hours in Gwangzhou once and found it utterly depressing. Chinese airports are the only places like that, I feel. I could be wrong and could never imagine 12 hours in one! I know this is an older post but hope the Great Wall comes into your view really soon! You’ve been around and truly deserve it! Thanks for sharing this awesome story of an unfortunate experience. Thanks Carl and am trying to make it happen although I don’t see it in my near future. Maybe when I do the Trans-Siberian / Mongolian railway. Wow, that’s quite of list of places you’ve been too. We were suppose to go to Peru last winter and didn’t get around to it. I’m hoping to make it there one day. Thanks Carmen. 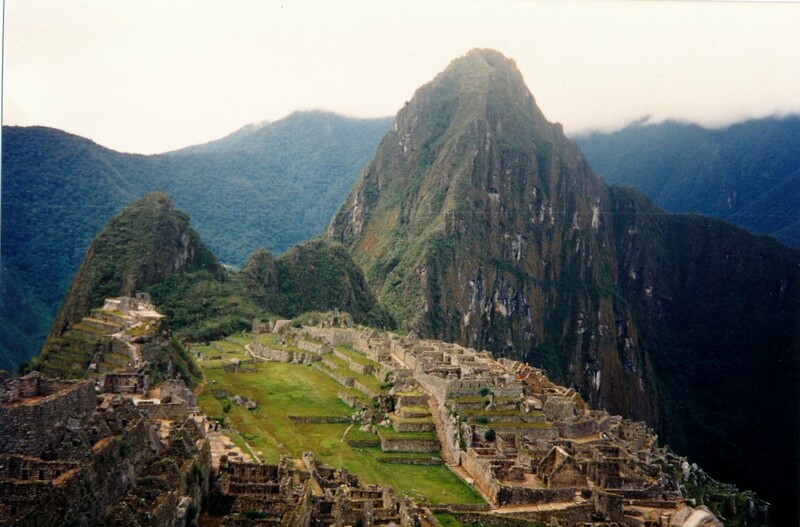 Yes, Peru is well worth the effort and apart from Brazil it is my favorite South American country. I too have travelled in the days of non-existent restrictions and believe that to get there now you need a time machine. Totally relate to your frozen day in Beijing. I spent 6 weeks in China from mid-December to end of January wearing one of those heavy khaki army coats and looking like one half of Tweedledee and Tweedledum. Wow, so many fantastic memories! On our visit to Rome we ate lunch at a cafe across the street from the Colosseum. I remember thinking how surreal it was, like a movie set rather than the actual historic monument. Treasured times! That is pretty much how I felt; like I was in a movie. The fact that there were dudes in gladiator outfits didn’t help much. But still, I loved it. 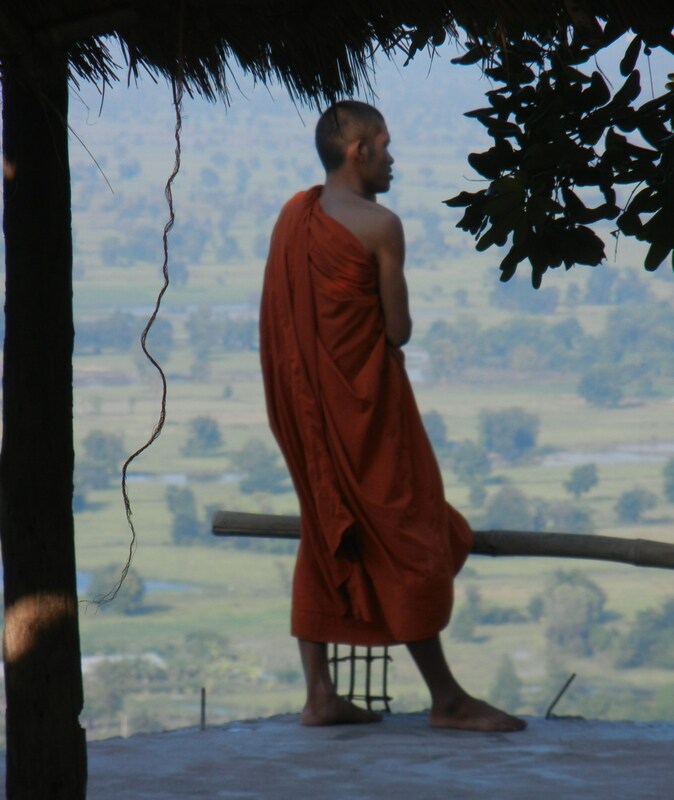 I have also done a lot of traveling but have never visited Cambodia. There are so many wonderful places in the world an they all offer something different. I have to say I did not climb on the Pyramids just looked at them and took a camel ride. What is great about your experiences is the memories you will have for life. I could not agree more Arleen so am always doing my best to create more. WoW! You are living life ..king size! Beautiful landscapes and everlasting memories!! Though I am not so fortunate to travel endlessly but at least I can get a glimpse of this beautiful world in your posts! It is like seeing the world through your eyes. You’ve done a lot of international traveling. I can’t wait to use my passport. It’s the one of the greatest documents we have. Good luck, there’s a lot to see. Seeing the world is wonderful. Have personally lived and worked in, or with, most countries on our planet. It has a tremendously positive impact on you. Above all, when you integrate in different cultures. Unfortunately most people living abroad don’t integrate with the locals and continue leading their lives as if they were back home. They have no idea what they are missing out on. I agree completely. I was in Asia once and met some folks who were staying at a resort. I went to see them. I may as well have been back home as the place tried hard to replicate the west. I couldn’t help thinking how much the people were missing out on by remaining in the confines of this pseudo Disney. You are very fortunate to have witnessed and partaken in such splendor that many people in the world have no knowledge of… only distant dreams. I think one of the greatest wonders of the world is that we travel all over looking for beauty and quite often miss that which is within. Of all the places you’ve been so far, do you have a favorite? Wow Tim, that is so great that you have been to so many of the 7 Wonders, really cool. I just read your ‘About’ section and it is really interesting. I understand how you feel about New Zealand, it is such a beautiful country, and the people are so nice. I’m sure you will get the chance to see the Great Wall again soon! I am sure I will. The Great Wall isn’t going anywhere soon…I hope! Or as in the case of the Hoover Dam, the best view if purposely roped off so only the people going on the behind-the-scenes tour get to see it (or at least it was when I visited about 15 years ago…) It’s understandable how historic sites need to be protected, as do natural areas. When I worked in Yellowstone, I would watch how people ignored the signs and cut across switchbacks. Sooner or later the effects of all that foot traffic take hold. Sounds like a quandary. Sure could use some of the cold air in Chiang Mai right now. I am sure you will make it some day. Yes, it does seem a shame to have missed it but you will get an opportunity again I am sure. Funny, I could sure do with a little of that cold here in Chiang Mai right now. Yes, I don’t think that it will be going anywhere anytime soon. Not sure it’s number 1 on the list but would like to see it at some point. Thanks for reading along Irene. I’m stunned by all that you have done! And you’re right…the Wall will be waiting for you and I’ve no doubt that you’ll get back there. Clearly, you are motivated! By the way…I agree about your home country New Zealand. There were times when I was visiting that the sheer beauty of the place made me cry. Safe travels! Thanks so much Jacquie; your comment is much appreciated. It always makes me feel good when someone has been to my home country and found it be an emotional experience. Not that I want to see all that go there break into tears but it does reinforce what a gorgeous place it is. (Here from BHB. Welcome to the group. I hadn’t heard that before (seriously) and it’s not only funny but very true. I think it’s in a Kiwi’s DNA to not purchase a return ticket while still in the 20 something age bracket. I would love to hear about your IndoChina experiences. I didn’t even know you could get into Cambodia during the war years? But with that said I went to Kashmir when it was in a war zone so can see how it could happen…you just have to have the desire. Thanks for reading, thanks for getting in touch, and thanks for the welcome. Btw, I made the edit you wrote about. I feel very fortunate Susan to have had the opportunity during a time of relative world peace. All the places you’ve been before restrictions made me wish I had gone then, too (I still haven’t been). It also made me remember the Eiffel Tower and Notre Dame before the horrible fences went up on the observation decks, ruining the views, so people couldn’t throw themselves off, I assume. Wish I had gone to Stonehenge, too, before the fences, and the Great Wall before pollution. Good luck getting back to the Great Wall. I enjoyed your recap. You have an engaging writing style. I do count myself as very fortunate to have been able to experience as many places as I have. Sometimes it is still hard to believe the way it was compared to now; like climbing over the top and inside the great pyramids…couldn’t get away with that today. Thanks very much for reading my blog and I will continue to write about the old adventures as well as the new. I promise not to make that mistake again and am pretty sure the Wall is not going anywhere soon…at least not in the next few years anyway!